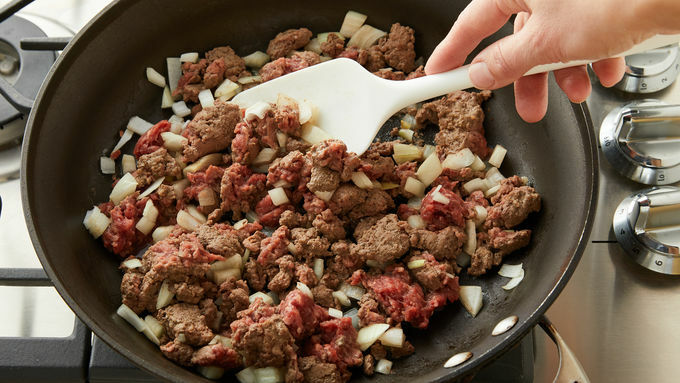 In 12-inch nonstick skillet, cook beef and onion over medium-high heat 6 to 8 minutes, stirring frequently, until beef is thoroughly cooked. Add flour; cook and stir 1 minute. Stir in beer, broth, Worcestershire sauce and mustard. Heat to boiling. Reduce heat to medium; simmer 5 to 10 minutes, stirring occasionally, until sauce is thickened. Remove from heat; stir in 1 cup of the cheese. Crumble 4 of the bacon slices; stir into beef mixture. Sprinkle remaining 1 cup cheese over beef mixture. Do not stir. 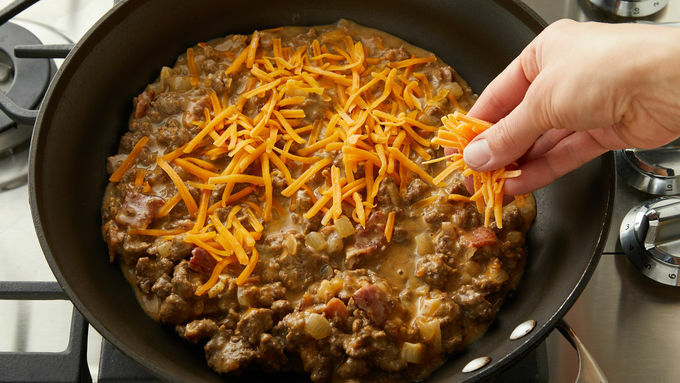 Cover skillet; let stand about 5 minutes or until cheese has melted. Spoon mixture onto bottom halves of toasted buns. 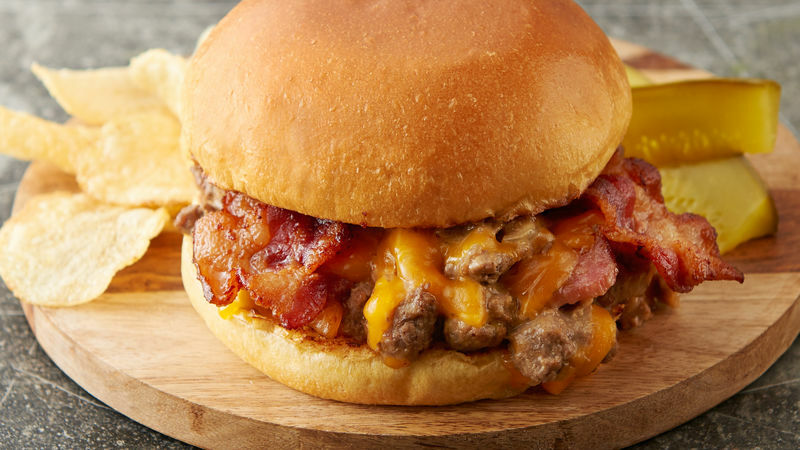 Top each with 2 slices bacon and top of toasted bun. Not stirring the last cup of cheese into the beef mixture allows it to melt on top for ultimate cheesiness. Taking the time to toast the buns before topping with the beef mixture gives the dish an added crunch and helps to keep the buns from getting soggy. Lager beer is the ultimate choice for cooking. Since it's lighter, you'll avoid the risk of your dish tasting hoppy, malty or bitter like some IPAs or ales.